Russia's hybrid military forces attacked Ukrainian army positions in Donbas 30 times in the past 24 hours, with one Ukrainian soldier reported as killed in action (KIA) and another one -- wounded in action (WIA), according to the press center of the Anti-Terrorist Operation Headquarters. In the Luhansk sector, the Ukrainian positions near the villages of Stanytsia Luhanska and Luhanske came under enemy fire from grenade launchers. In the Donetsk sector, the situation was tense near the town of Avdiyivka, where the occupiers fired 82mm mortars, grenade launchers, and machine guns. A sniper was also active in the area. In addition, the Ukrainian fortified positions near the villages of Kamianka and Pisky, and Butivka coal mine were attacked with the use of infantry weapons. 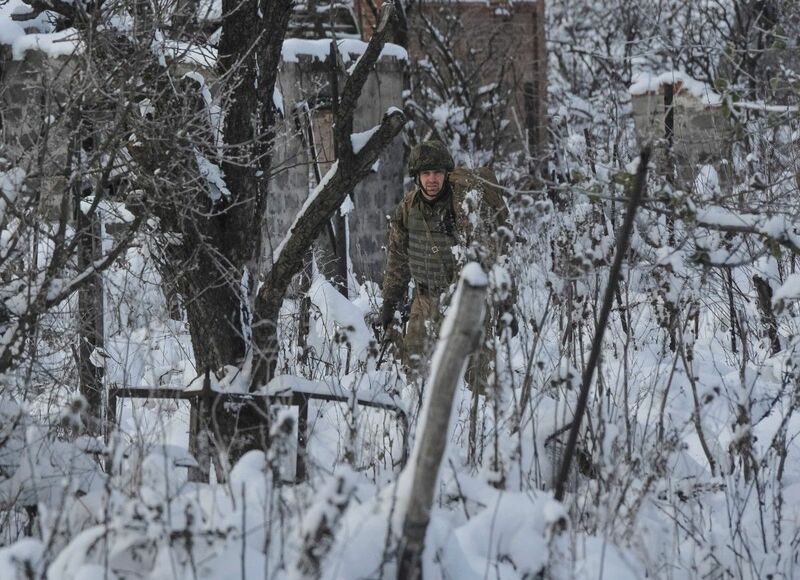 Read alsoDonbas report: 24 militant attacks recorded in last dayIn the Mariupol sector, the Russian-backed mercenaries opened fire from small arms on the defenders of the village of Hranitne.